Explore Philippines Magazine, together with Manila Who and Chinatown TV, will be exploring the historical streets of Escolta in one mysterious event, as we, explorers become Manila's greatest detectives. 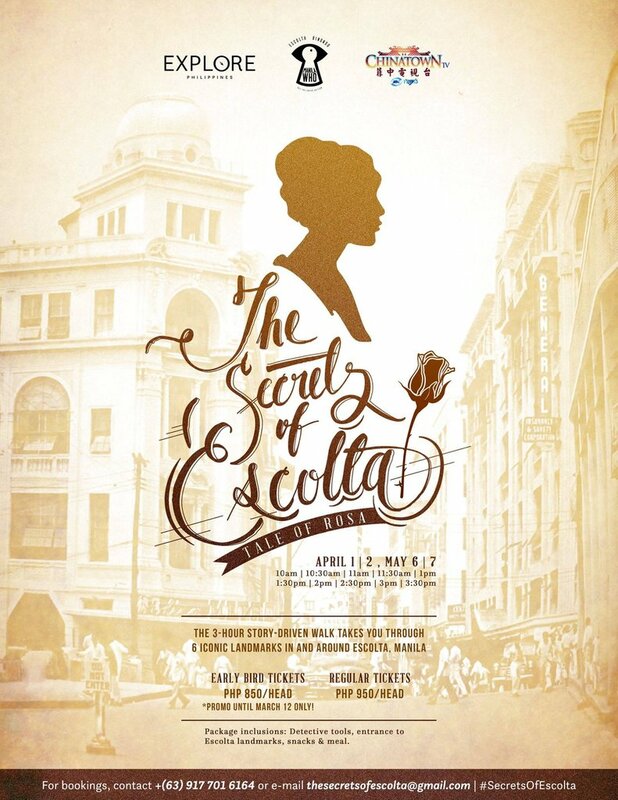 Event tickets include: Detective tools, entrance to Escolta landmarks, snacks & meal. Each time slot will have 5-6 participants. Make sure to send them message to reserve a time slot for your whole group/barkada of 5-6 persons. 2. If you prefer to deposit via bank, please send your payment to any of the following accounts. Don't forget to email them your deposit slip after, with your name and preferred date and time slot.